Greetings from Champs Academy! 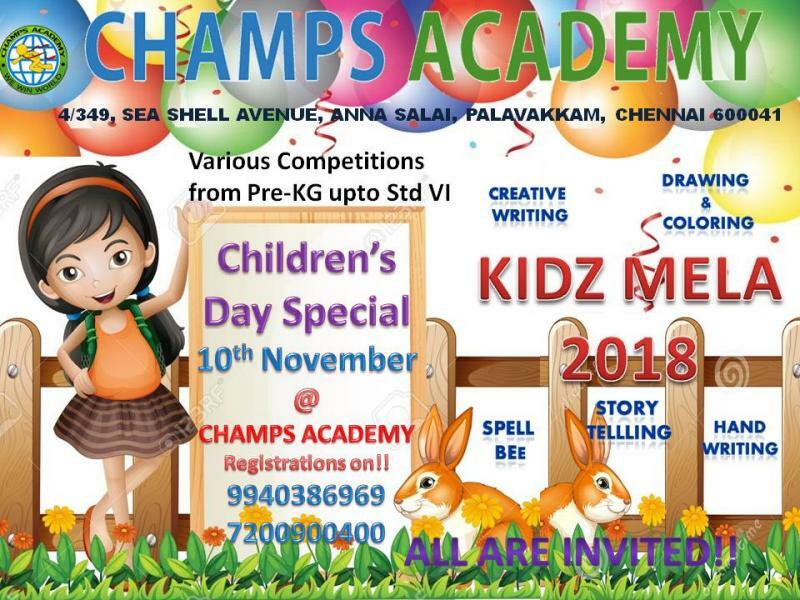 We are happy to welcome you all to the KIDZ MELA 2018 @Champs on 10th November from 9.00AM – 1.00PM. Please report 15 minutes before the event. Medals & Cup for the winners. The winners will be chosen according to grades. The preliminary rounds for Story Telling will take place within the classroom for which parents will not be allowed. The top 4 per grade will be selected for the finals and parents are invited for the final round. and any other required stationary kit. Pre KG & L KG to colour the picture given. Bring your own writing pads, color pencils, crayons, pastels and paints and any other required stationary kit. For U.KG -Grade 6 drawing sheet will be provided to draw the theme chosen from below. The size of the paper given will be A3.  What is special about my country? For U.KG, sentences will be written on the board. Students will copy the same in cursive onto the 4 lined sheet given. Need to use only cursive writing. Passage Xerox sheet will be given for Grade 1 & 2.
stationary. 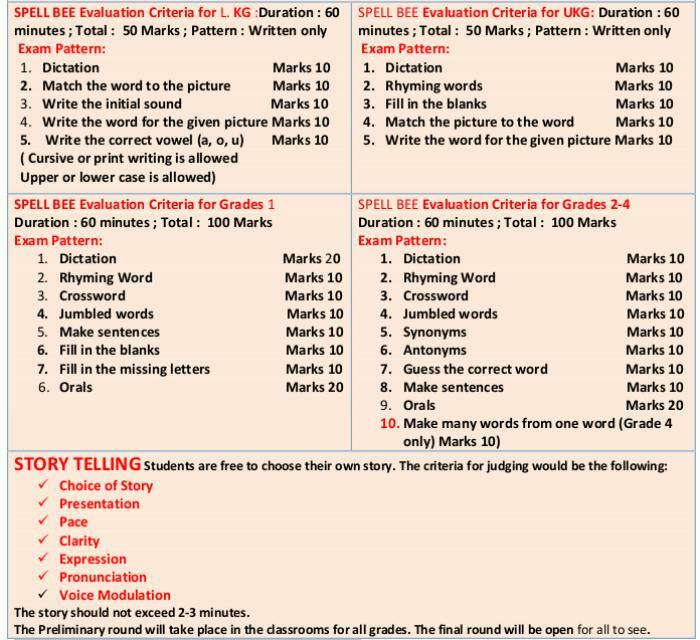 The words expected in the exam pattern and in the oral round is from the word list provided. There will be special competitions for Parents in Drawing , Creative Writing, and Word games. Entry is free. Payment needs to be made in cash only, along with Registration Form thereby attached. 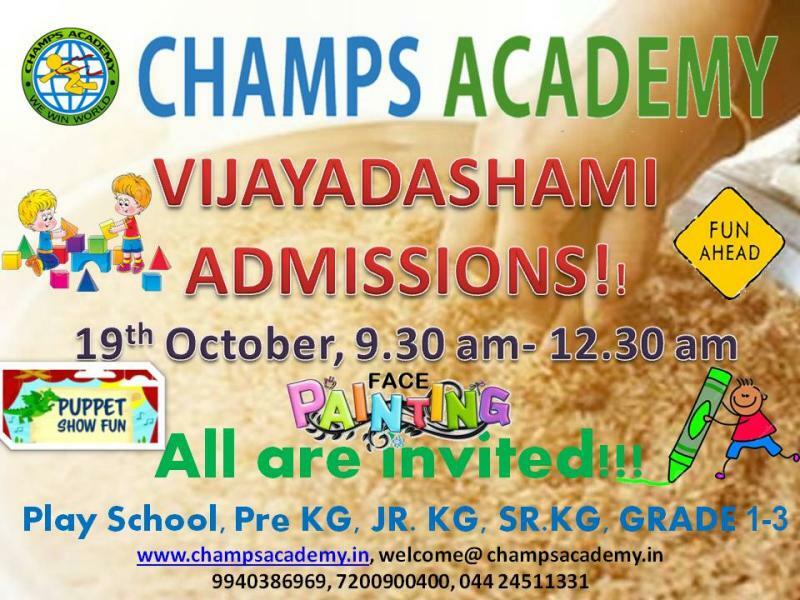 For further details kindly contact the admin : Ms Ruby @ 9841717775 or the Principal, Pearl Raj @9940386969.